Home / ACA / Business/Commercial Practice / Healthcare / Judicial / Labor Relations / Is the Affordable Care Act Still in Effect After Texas v. United States? Is the Affordable Care Act Still in Effect After Texas v. United States? 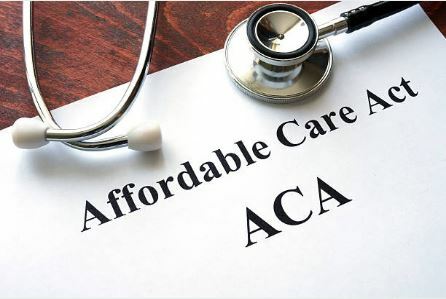 Last month, a district court in Texas issued a significant ruling in Texas v. United States declaring the Affordable Care Act (ACA), aka Obamacare, unconstitutional. The court held that since the individual mandate, which required people to either buy health insurance or pay a tax penalty, was repealed, the ACA was no longer a tax, and therefore Congress had no power to pass such a law, as it no longer fell under Congress’s taxing power. So, what does this mean for employers? First, the ACA does still remain in effect. The ruling is being appealed, and the ACA will remain in place during the pendency of the appeal. The Trump Administration has said that it will continue to administer and enforce the ACA as it had before the court issued its decision. With the ACA still in place, employers must continue to comply with the law, with those employers having more than 50 employees required to continue to provide health insurance benefits to their employees who work 30 or more hours. Will the ACA ultimately be overturned by the courts? It is not clear, but my gut is that it probably will not be. The last time the ACA was challenged the Supreme Court engaged in some creative interpretations of the statute to find it constitutional. Justices Gorsuch and Kavanaugh have been appointed to the Court since then, and while I might see Gorsuch willing to overturn the ACA, I do not see Kavanaugh having any appetite to do that. Kavanaugh recently would not even agree to have the Court hear a challenge to Roe v. Wade, so it seems like he is pretty set on upholding existing law. This is supported by the way he ruled while he was an appellate court judge. So, I would plan on the ACA being here to stay until at least the end of the next Congressional session in 2021. Given the inertia in Congress, I would also bet on the law remaining in place for many years after that. Feel free to contact me if you have any questions related to the ACA.